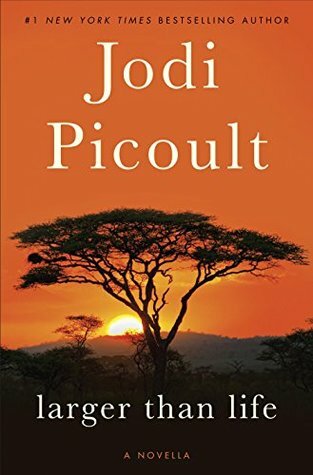 A new Jodi Picoult book always causes a stir amongst book lovers, especially her stalwart fans. I haven’t read all of her books, but I’ve read enough to know that she specialises in that ‘punch in the solar-plexus, OMG, A-ha moment’ right at the end of her novels. ‘Leaving Time’ is no different! Picoult’s approach to this novel was quite unique. 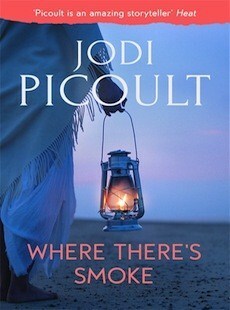 One of her pivotal characters was introduced in a brief prequel called ‘Where There’s Smoke’, cleverly offered as a free e-book on Amazon some months before the release of the main novel. So it’s here that we’re introduced to psychic Serenity Jones at her finest. She’s the presenter of her own TV show, and darling of the media … until disaster strikes. In the e-book novella ‘Larger than Life’ we meet Alice, and learn about her genuine love for the elephants she researches. When we meet Serenity again, in ‘Leaving Time’ she is a washed up has-been trying to make a living from giving fake readings to those desperate to contact loved ones on the ‘other side’. Enter 13-year-old Jenna Metcalf , who is Alice’s daughter and who now lives with her grandmother after her mom’s , disappearance 10 years previously. Jenna’s trying to find out what happened to her mom on the night that a tragedy befell the elephant sanctuary where she worked and lived, and she’s absolutely certain that Serenity’s the only one who can help her. The incident left elephant carer, Nevvie, dead and Jenna’s father institutionalised. To ensure that all her bases are covered, Jenna also enlists the help of Victor (now calling himself Virgil) Stanhope, ex-cop and present day Private Investigator. And what a coincidence, Stanhope worked the case the night that Alice disappeared! Together this unlikely trio (for Virgil and Serenity are not fond of each other) pool their resources as best they can to get to the bottom of what actually happened that night at the elephant sanctuary, that would have made Alice want to leave the child she loved so much. Picoult’s narrative is once again rich and descriptive. Alice’s chapters and the explanations of her research into grief in elephants are absolutely captivating. The writing is lyrical and even though I previously did not have any great interest in elephants and their habits, I found the descriptions given here absolutely fascinating. ‘Leaving Time’ is one of those books that you’ll stay up reading late into the night, impatient to learn what exactly happened to Alice all those years ago. And undoubtedly, the twist will leave you gobsmacked. And then you’ll want to go back to the beginning to start again, and check that you didn’t miss anything! This is a book that will stay with you long after you’ve finished it. I read the novella for this and didn’t find it very appealing. The characters didn’t draw me in as they normally would with a Jodi Picoult novel. Would you say the characters are more appealing in this? It’s quite different to the books she used to write a few years ago when she became so popular. I think different characters hold appeal for different people and while I don’t think I overly loved any of these characters, they did blend together well to create a compelling read.